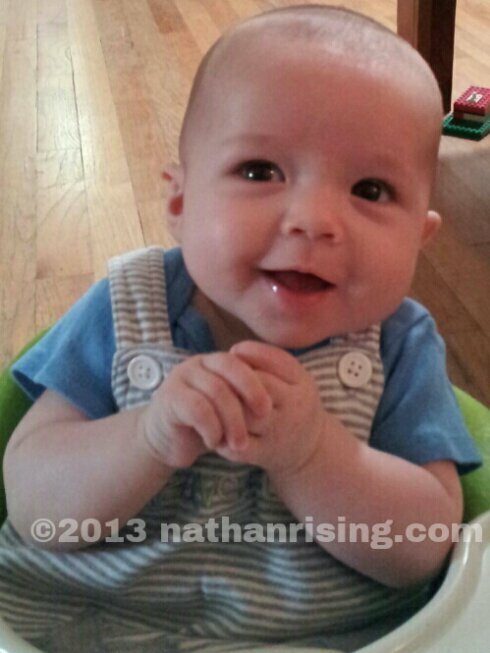 NathanRising » Such a big boy! He loves, loves, loves sitting in his Bumbo seat. Just look at that cute little face! Such a happy baby! This entry was posted by Jen on August 31, 2013 at 8:05 pm, and is filed under Daily Life. Follow any responses to this post through RSS 2.0.You can skip to the end and leave a response. Pinging is currently not allowed.